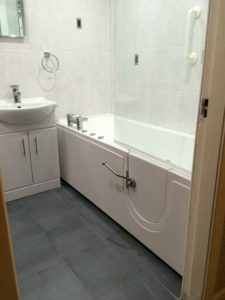 Recent work carried out in inverkeithing fife. 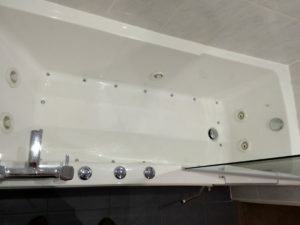 This is a newly installed disabled bathroom with walk in Jacuzzi style spa bath , and comfort height toilet. 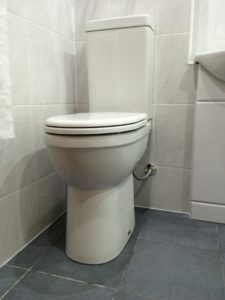 This brings a bit of luxury as well as accessibility to the less able person.